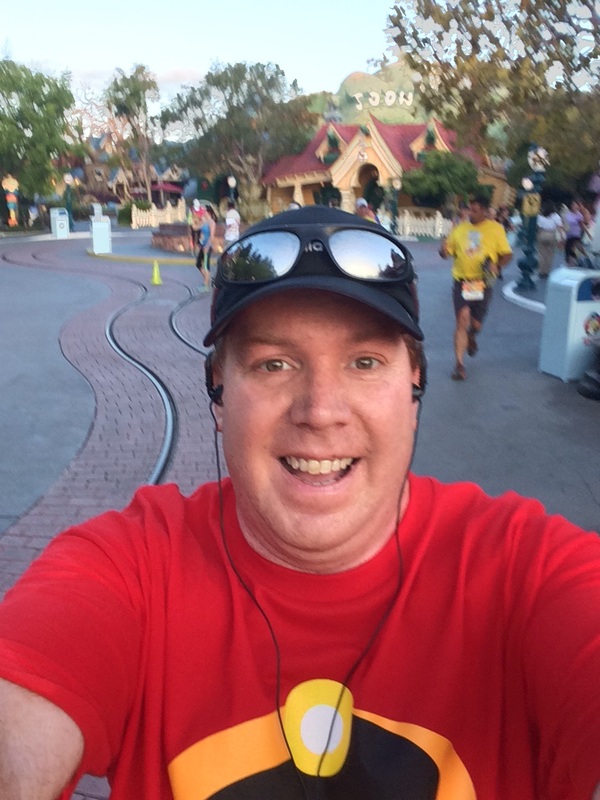 If you remember my posts leading into the Disneyland 10K, I was aiming to set a new 10K PR. 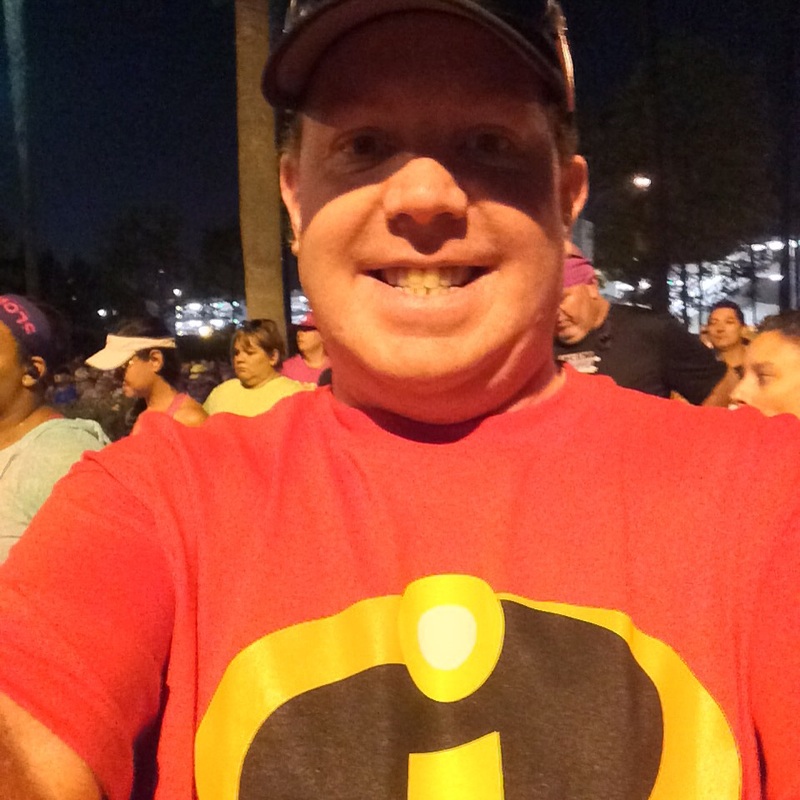 So, when I suited up as an Incredible, the question was whether I’d be Dash or Mr. Incredible. I was oh so close to being Dash. 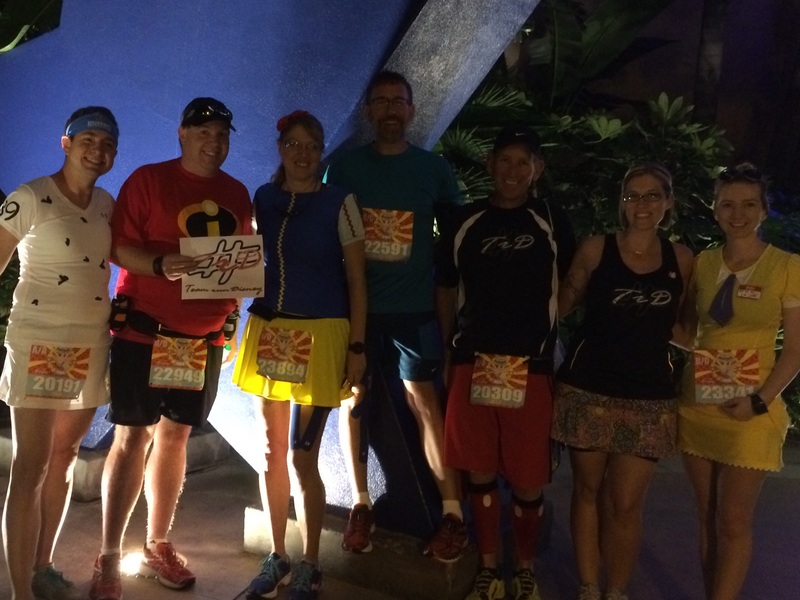 The day started off early with a 4am meetup of my friends with the Team #runDisney Facebook group. It’s always fun to meet new running peeps early in the am! I ran into my friends AJ and Ivie who were running as Flotsam and Jetsam from the Little Mermaid. AJ was in my corral and Ivie decided to hang back in corral D with him. So, we got to hang out before the race started! Fun times! 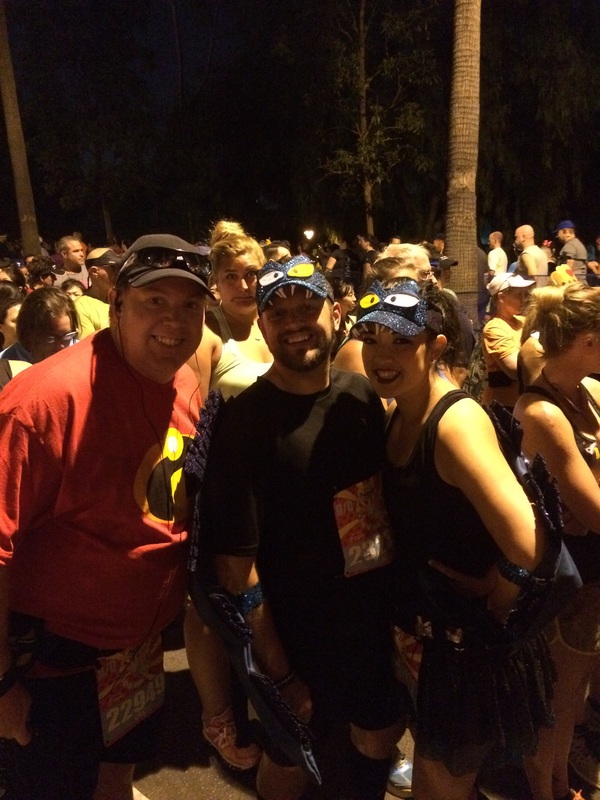 As you can see, it was a sea of people all ready to take on the Disneyland 10K! I was all set to go. One thing that is difficult about being a back of the packer is the time we wait between the first corral and ours. Every time I see people stretching out before a race like this one, I wonder how much benefit there is if you aren’t going to start your race until nearly an hour later. Hmmm. The wait wasn’t too bad since I had peeps to talk with. Before I knew it, we were making our way to the starting line. Since this was a 10K and the speedy people in corral A would be finishing soon, Carissa wasn’t there to start us off. No worries, Rudy held it down for corral D…D for Dumbo? Hmmm. 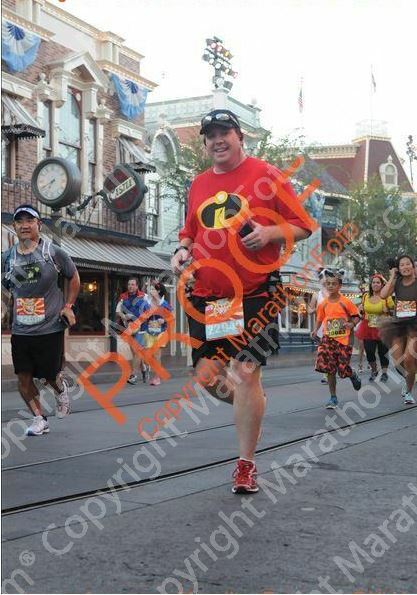 Anyways, since I was racing this 10K, I didn’t get as many pictures as usual. 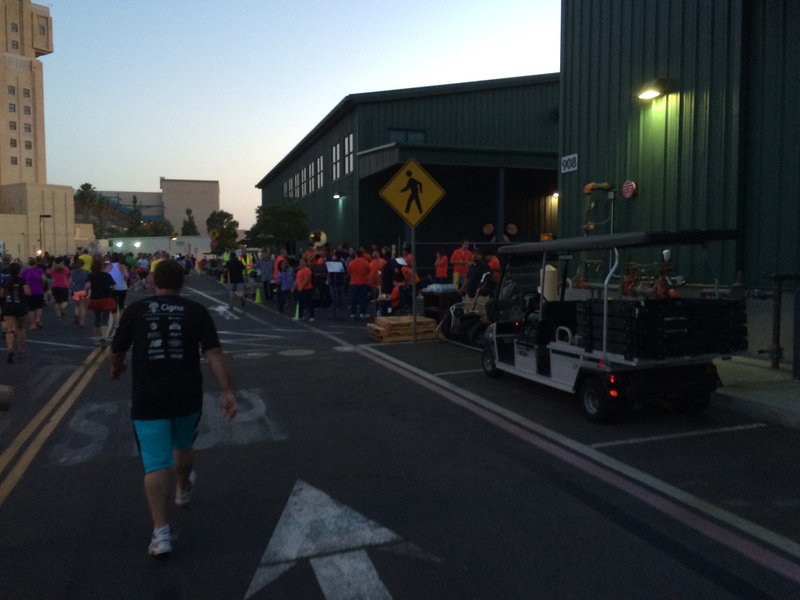 The first mile was filed with dodging slower runners/walkers. I even hopped up on the median to run a little bit and the sidewalk too. The mile 1 marker seemed a bit misplaced. 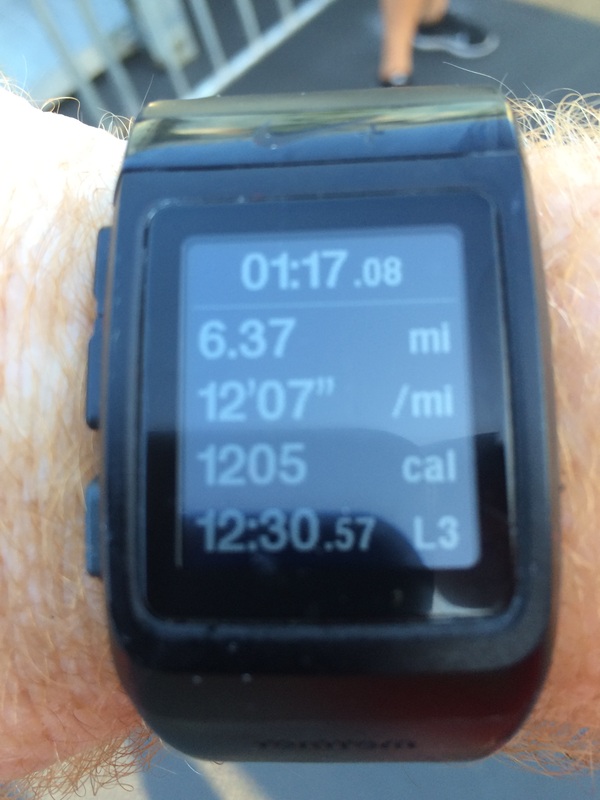 On my watch, the mile 1 marker was at 0.95 miles. I crossed the first marker at around 11:15! That was too fast for me. However, I thought that the mile markers aren’t always placed correctly. So, I kept going. After all, I had 5.2 miles to go! We made our way into the Anaheim Convention Center for the start of mile 2. This is where the first water stop was located. Since I was carrying my own water, I went through the center to avoid the crowds. I’ve got to admit, it was kind of awesome! 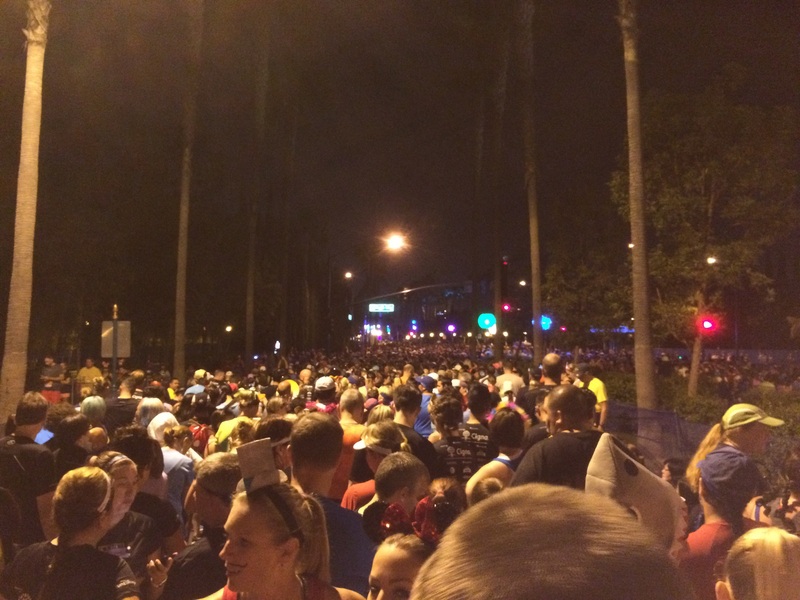 The crowds started to be easier to manage as we got closer to Harbor Blvd.! I was keeping my intervals going. I felt strong and good. The second mile marker was probably placed better on the course. However, this time, it was after where my watch said 2 miles should be. I was off by 15 to 30 seconds at the 2 mile marker. 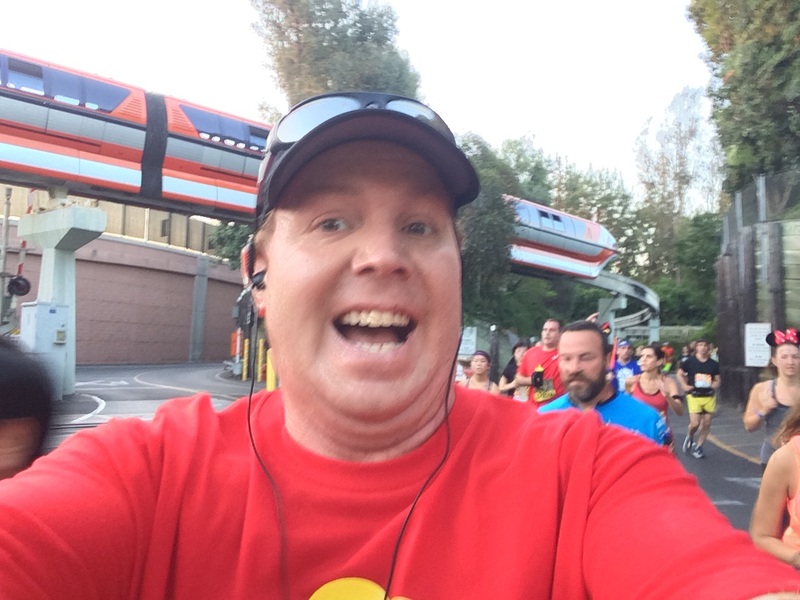 As we entered backstage Disney California Adventure, it was time to just keep running! I did feel good about my run intervals and my walk breaks. I was a little bothered by the fact I was a little off. But, we were about to enter the first theme park! I was hesitant about taking pics during the race. However, it’s Disney! How could I not take some? So, I decided to take them on walk breaks. As you can see, a lot of them will come out blurry. After all, I wasn’t going to waste time making sure I got a good picture. You know what I mean? I always love running up Route 66 in Cars Land! So, this was kind of a must attempt picture. I had to dodge a few people as we turned to go up Route 66. I was prepared for that because they usually have one or two characters out at that spot. This was my first sort of stop. I couldn’t resist! Paradise Bay with Mickey’s Fun Wheel and the World of Color Fountains was too much to pass up. It cost me some seconds. 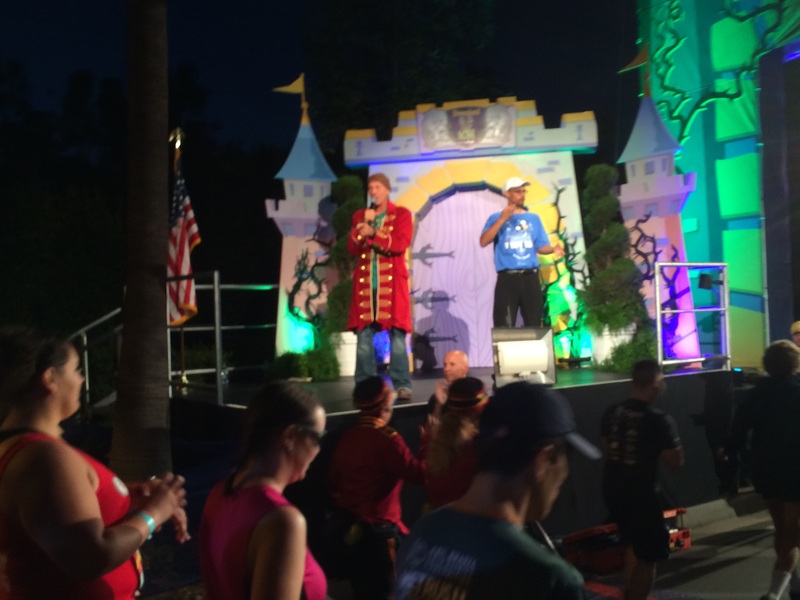 My previous runDisney habits were creeping in. I got back to running after this shot. As we made our way around Paradise Pier, I know that there were some characters by Toy Story Midway Mania. I was on a run interval when I got there. So, there was not time to see who it was. I could see the line for these characters was long. So, I probably wouldn’t have waited anyways. I hoped to make up some time in this mile. After all, there was a slight downhill as we passed by Screamin’. 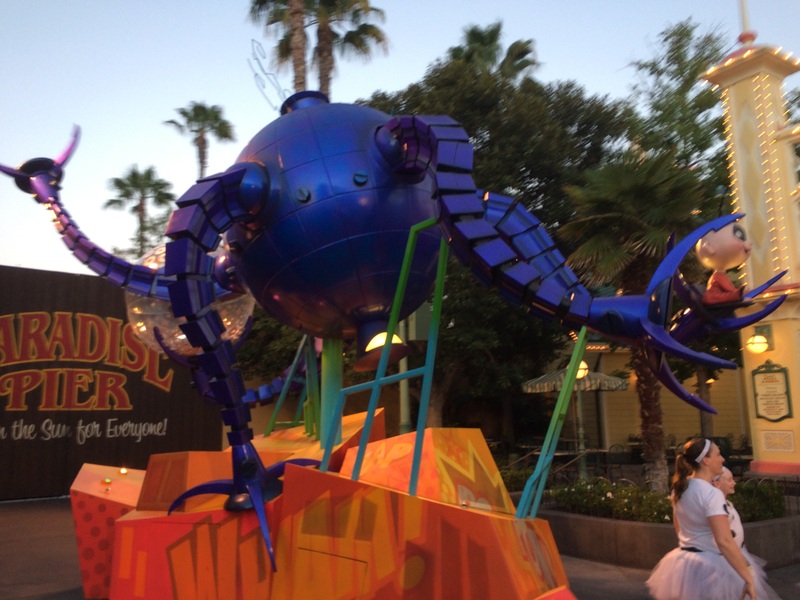 This was the first parade float out on display. Since I was on a walk break, I got a pretty decent picture. However, it came at the end of the walk break. So, there was no time for a selfie. The course made its way around the whole Paradise Bay and up by The Little Mermaid: Ariel’s Undersea Adventure. I knew the course would turn to the left and head towards the Grizzly River Run. We were getting close to the end of mile 3! By the time I got there, I was almost a minute off. There was no time to think about picture taking. 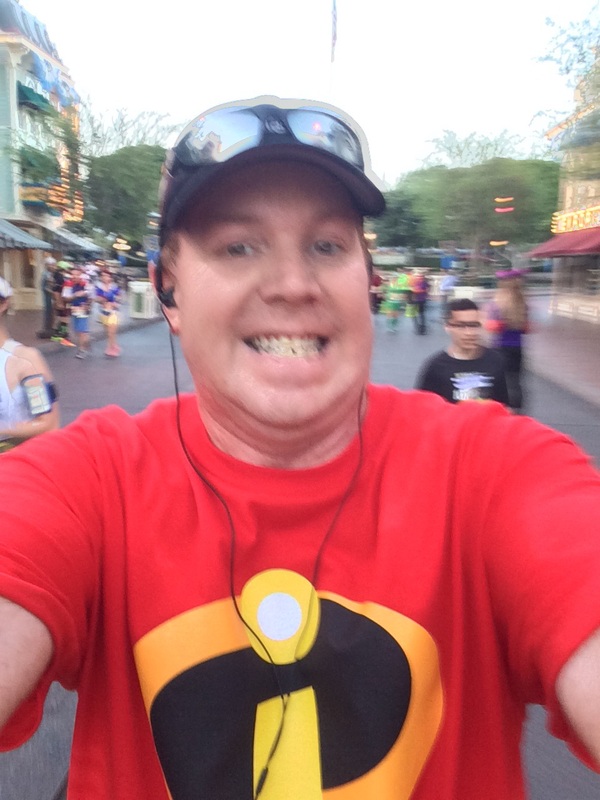 I’ve taken this picture in each of the first two Disneyland 10K’s. This time, I didn’t. I was still in pursuit of a 10K PR. I was behind but kept on trucking. We made our way up Hollywood Blvd, turned towards the Hollywood Tower of Terror and were back stage. There we’d head down into a tunnel that connects back stage Disney California Adventure to back stage Disneyland. I hit a walk break heading down the hill. Then, I ran in the tunnel. What was cool is that Disney had villainous music playing in the tunnel! I was estimating that I would probably get to walk up most of the small hill to the other side! I knew the hill was coming. So, I prepared myself and made up with ease! On the other side, we were getting ready to run through the most narrow part of the course. The little path that took us to the entrance of Disneyland. I was feeling like I was off on my time. But, I kept running on all of my run intervals. I told myself to keep on pushing. I might just have to buy some of these Marathonfoto pics! This one came out really great! 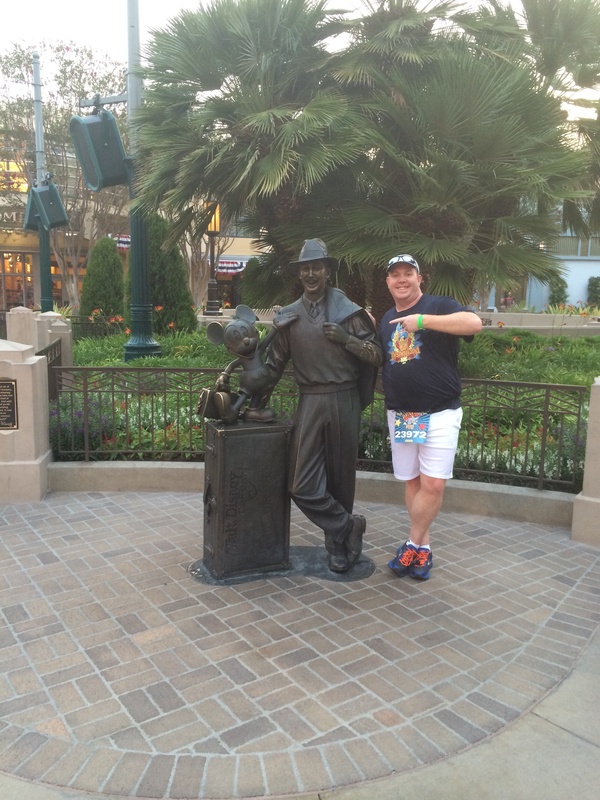 Yes, I was having fun all the way up Main Street U.S.A.! Some folks headed off the course to get a picture with the Partner’s Statue at the end of Main Street U.S.A., but not me. I was working hard towards a PR. As we entered Tomorrowland, I was getting a little too worried about time. I was feeling a little tired and my time was not going the way I wanted it to. 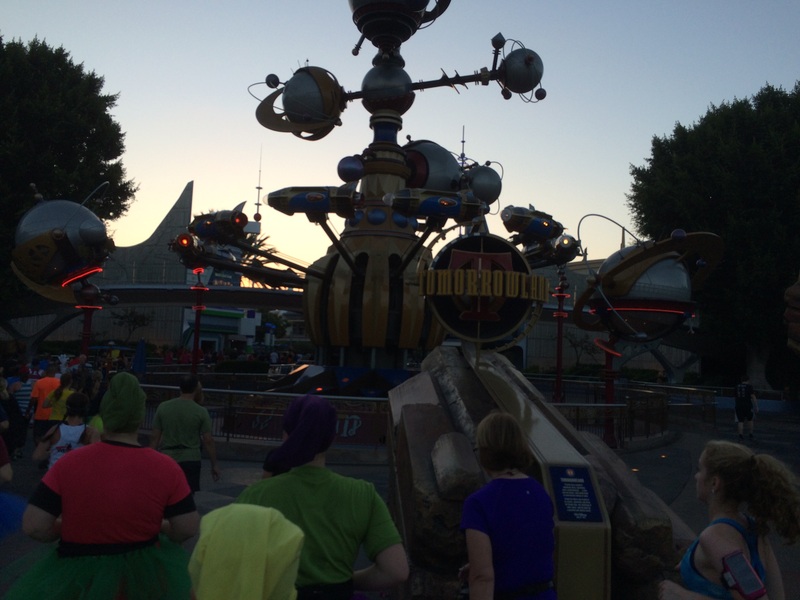 The four mile marker was in Tomorrowland. My watch said something different. By the time I got to the 4 mile marker I was around a minute and a half off the pace I was shooting for. So, I made the decision to recover in mile 5. I switched my run/walk intervals to 30/90 for mile 5. Since it wasn’t looking like I’d get a PR, I took some photos in mile 5 that I might have skipped. Like this one with It’s A Small World. Hey! Why not have fun with this run. Since I was off from the time I wanted, I decided to focus on beating my time from the Star Wars 10K instead. Adding 30 seconds to my walk break was giving me a second wind. Shortly after heading back stage past It’s A Small World, the Monorail was out. I thought that this would be a cool pic. Since I was on a walk break, it was timed perfectly! We made our way into Fantasyland! I know that Sleeping Beauty’s Castle isn’t as big as Cinderella’s at the Magic Kingdom. However, it’s still fun to run through (or walk through). Boy, did it get crowded! 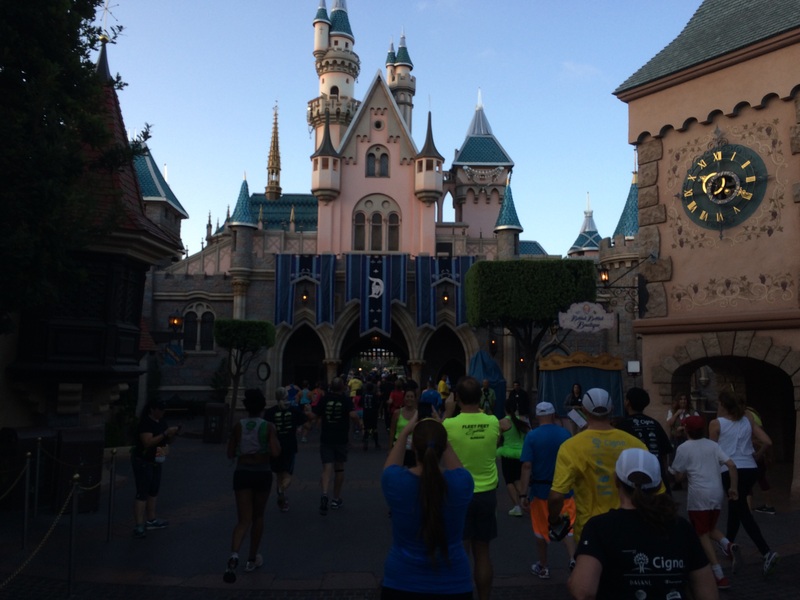 Since I knew Marathonfoto wouldn’t get my picture running through Sleeping Beauty’s Castle, I took my own! Seriously, why do they even station people there if they won’t have their cameras up and ready to snap pictures? From there we headed off to Frontierland. Then, we’d turn and run around the Rivers of America. Right before we got to the entrance of Pirates of the Caribbean, I tripped over something. I have no idea what it was. It happened on a run interval. Kind of scary. I somehow kept myself from hitting the ground and kept on running. Thankfully, it wasn’t a total disaster. On my walk break after that, I was a little stunned and just making sure I was okay. That’s wen a blog reader passed by and encouraged me to get running again. By the time I got to the 5 mile marker, I was only off my pace by a minute and a half! This encouraged me to get back to the run 30 seconds/walk 60 seconds that I did for the first 4 miles. I was feeling so much better! So, I told myself that the race was only a little more than a mile from finishing. So, I made the switch. 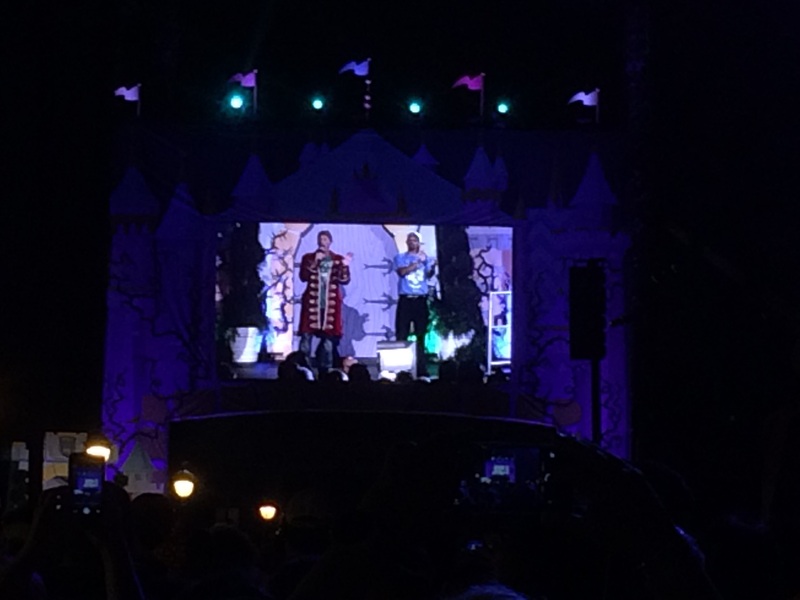 We ran back stage Disneyland and exited onto the Esplanade and then through Downtown Disney. Remember when I said I was waiting on a friend who was running his first 10K? 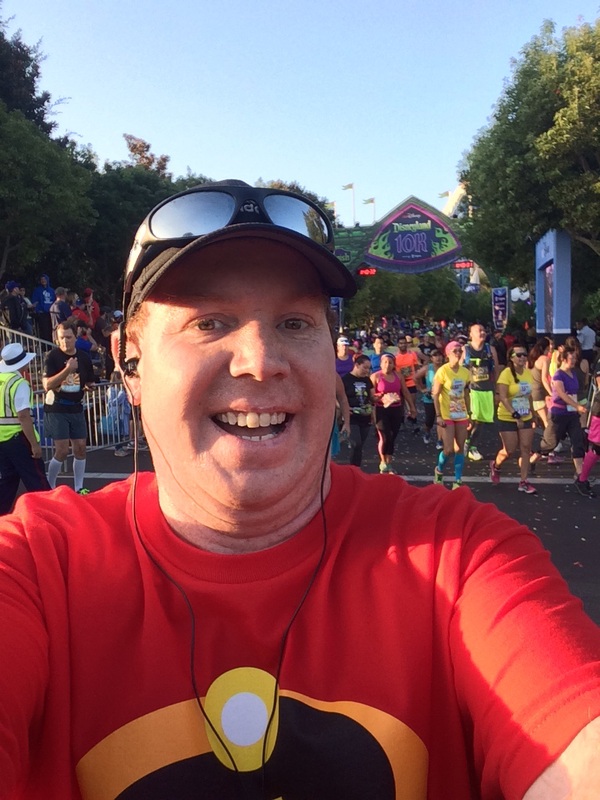 His wife snapped this picture of me right past the 6 mile marker. 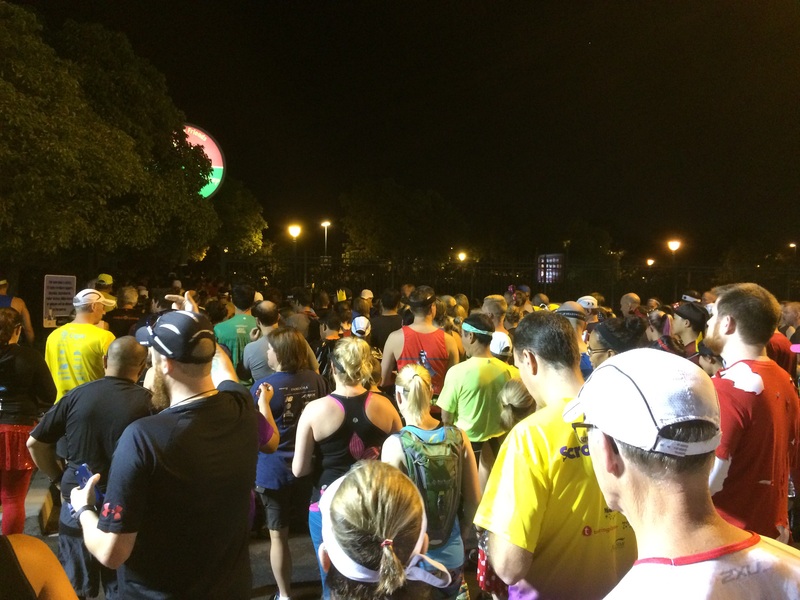 I crossed the 6 mile marker at the time I wanted to be finished…1 hour 15 minutes. 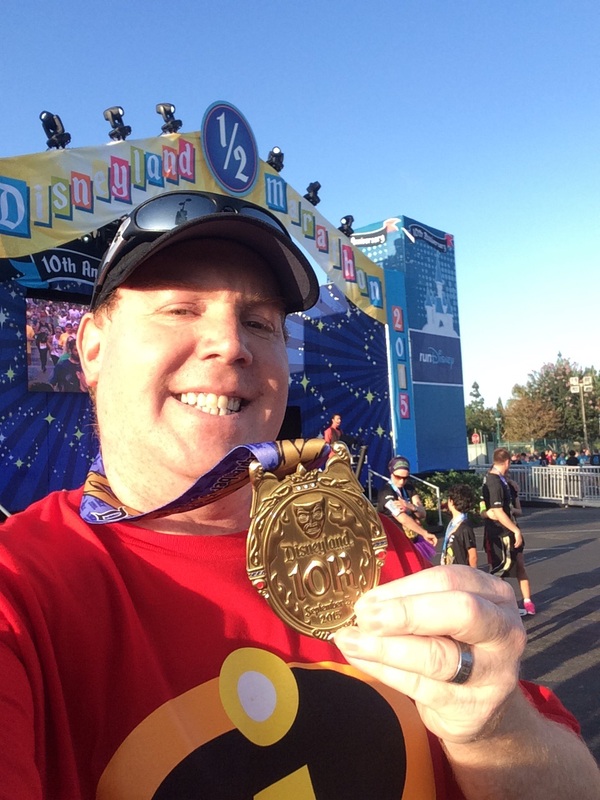 I knew that if I kept running, I could still set a runDisney 10K PR! The race was almost over! Once we got to the Hat, it was a right turn and onto the finish! It felt amazing the whole way up to the finish line! 10K Finisher! Part 1 of my Dumbo Double Dare was officially in the books! The watch tells the story. The official time was a few seconds faster. I was oh, so close to that 10K PR! If I were a little more than a minute quicker, it would have happened. One thing I learned? Don’t trust the mile markers. The only thing that matters is the finish line. After the finish line picture, it was time to collect the newest race medal! 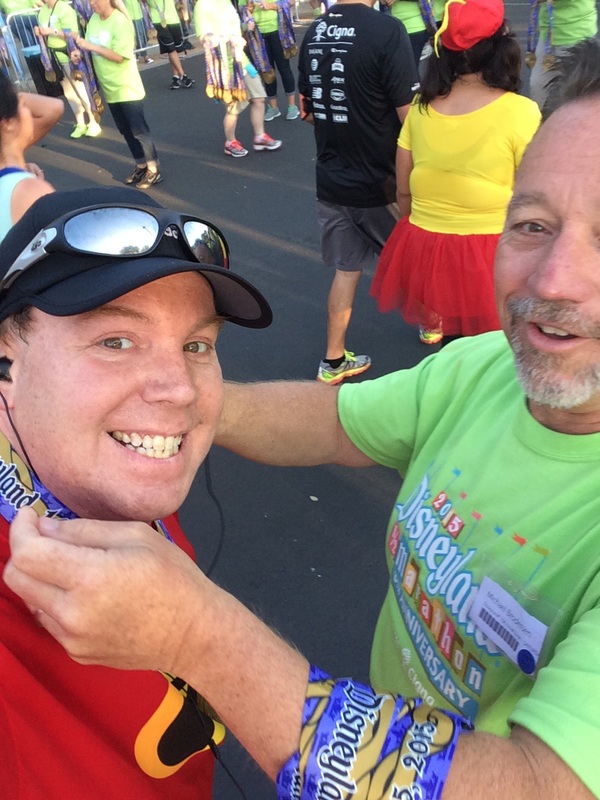 The guy handing me my medal thought it was cool that I took a selfie! Even though it wasn’t completely a Dash worthy performance, I still felt amazing at the end with my new medal! It felt oh so good to be racing again! 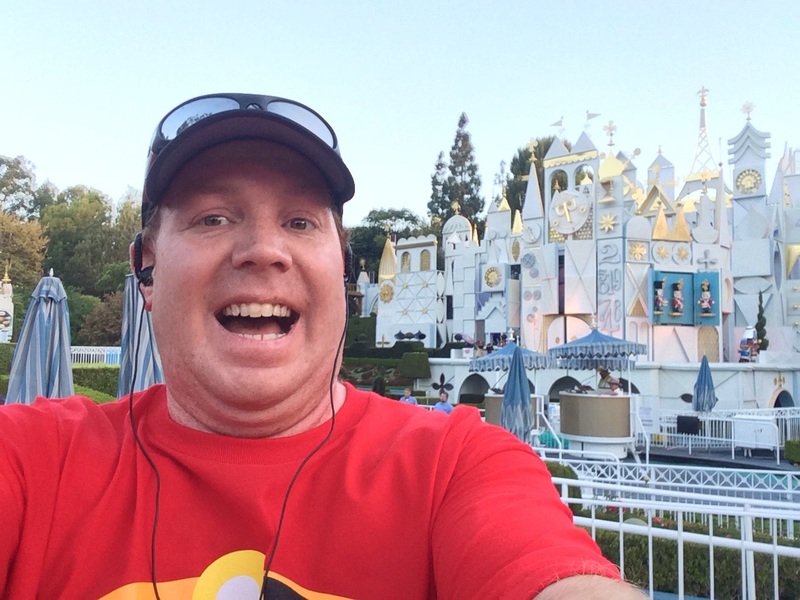 Maybe if I didn’t stop for the picture with Mickey’s Fun Wheel, It’s A Small World, and Sleeping Beauty’s Castle, I could have had a new PR. Who knows? Either way, I had a blast! 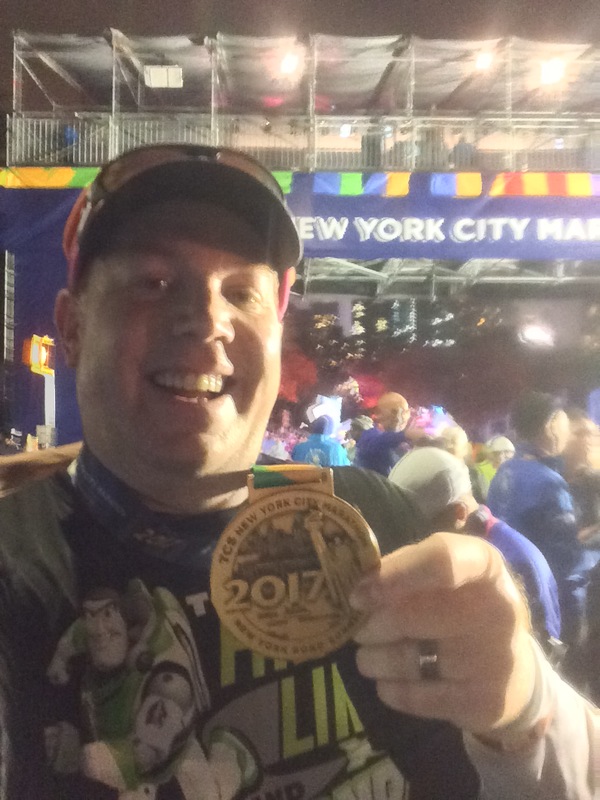 After taking the pic with my medal, I headed back to where the runners were existing to see if I could meet up with my friend. While I was waiting, I saw my friends AJ and Ivie as well as Patty from My No Guilt Life! 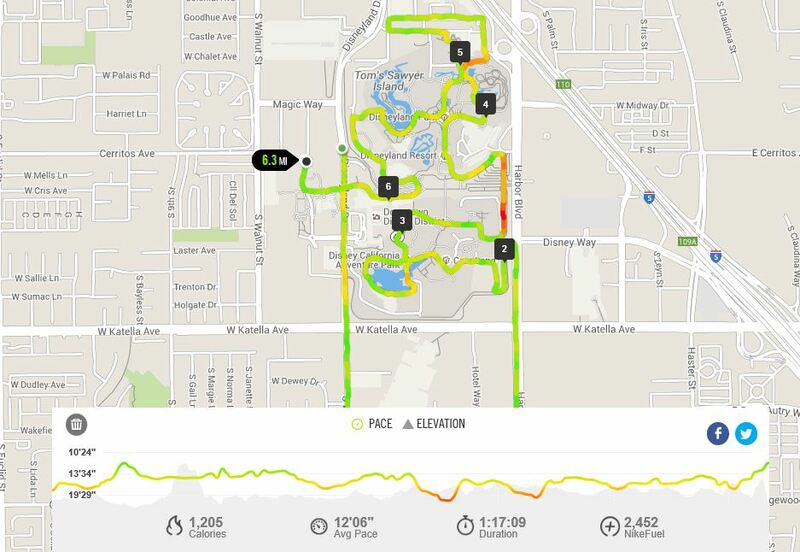 By the way…here are the splits from my Nike Plus GPS Sportwatch. What’s interesting to me is that, on the course (with the mile markers), mile 1 was my fastest and mile 2 was slower. There was a steady progression of miles getting slower until the last one. If I crossed the mile markers with these times, I might have run mile 5 differently. And here’s what the GPS Map looked like for those of you who are interested. I did enlarge the map a little bit. So, it cut off the part running through the Anaheim Convention Center. 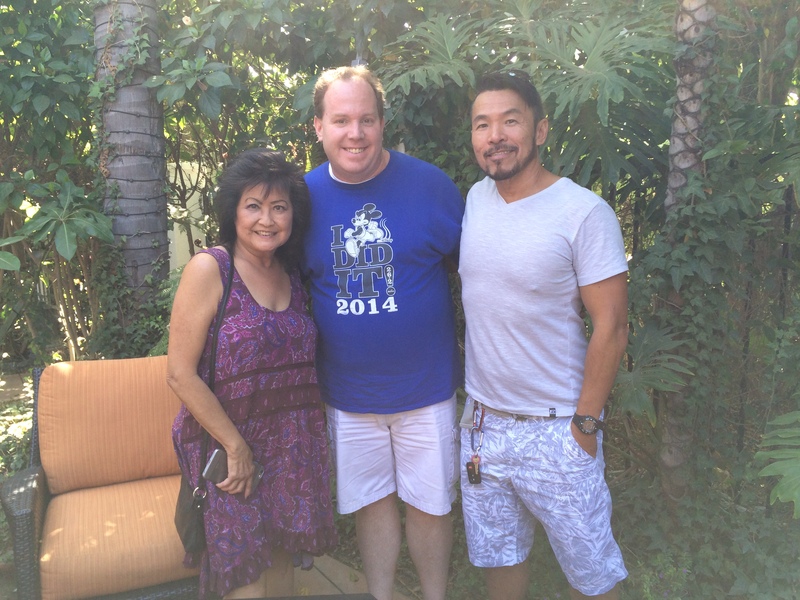 I did get to have breakfast with my friend and his wife. They stayed at the same hotel as I did. So, we were able to get together after all. It just wasn’t during the race. We ended up with a very similar finish time (less than a minute apart). 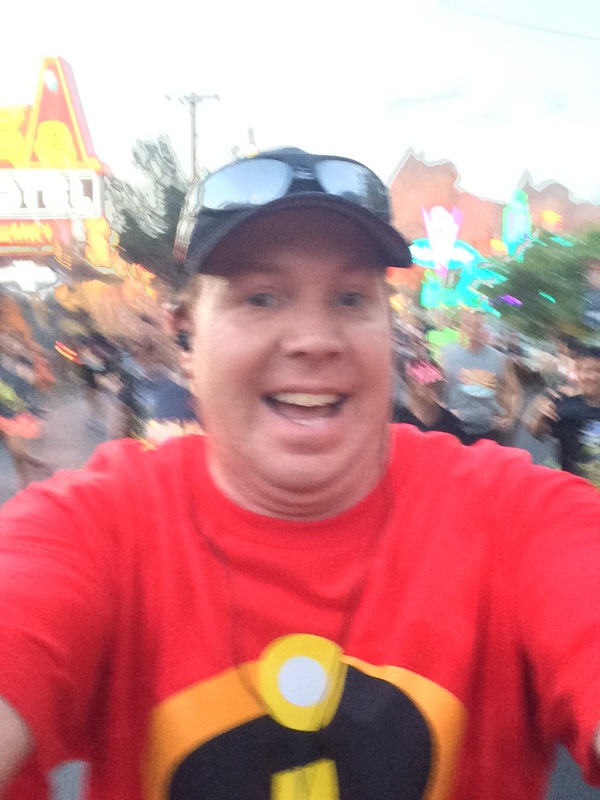 However, my friend Greg started in the last corral because it was his first race. So, that’s all that separated us. Taking pictures when you’re attempting a PR is not the best idea. If I hadn’t stopped for the three spots I stopped at, I would have been closer to my PR and might have had a different mental approach to the last couple miles. That could have been the difference. Who knows? Course crowding is something you can never totally prepare for. 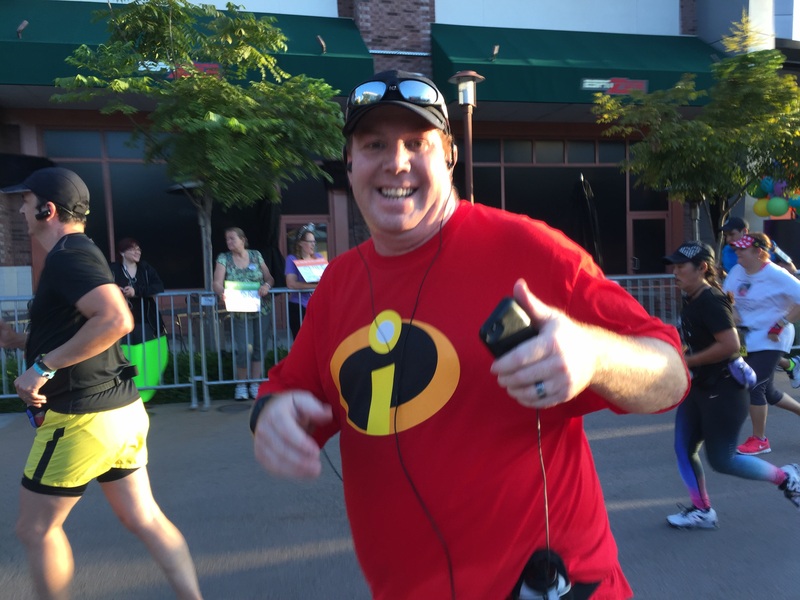 At the Disneyland Half Marathon, I started much closer to the beginning of my corral and didn’t have nearly the same course crowding issues. That’s all for now. 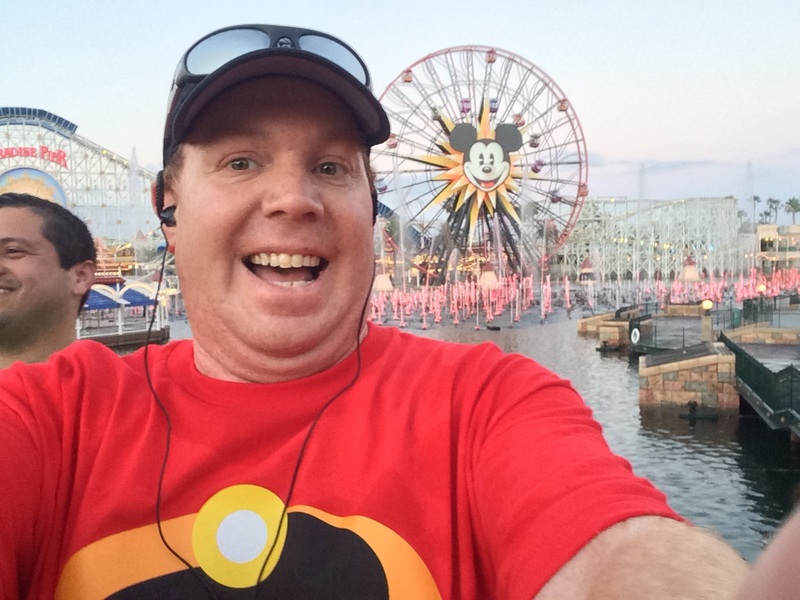 Tomorrow, I hope to have the recap of the Disneyland Half Marathon up on the blog. 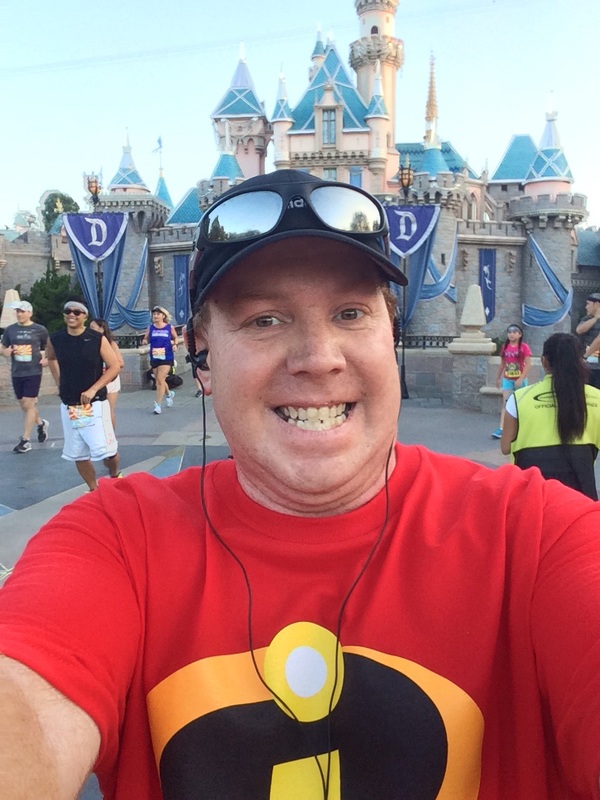 Lastly, even though this is not part of the Disneyland 10K recap, I wanted to let you know of another fund raising idea I came up with this week. I’m looking for 26 people who will donate $25 to my Bank of America Chicago Marathon charity. That would one for each full mile of the marathon. When you donate, you can make a comment. In the comment section tell me which mile you are sponsoring of the race. When I run the Chicago Marathon, I’ll take a picture with each mile marker and post it to Instagram and Twitter. In my “thank you” email for the donation, I’ll ask for your Twitter and/or Instagram handle. So, as I get to a walk break past that mile marker, I can post the picture and give you a shout out during the race. Want more than one shout out? Donate $50 and pick 2 miles you’re sponsoring. I’m almost half way to my fund raising goal. So, please consider sponsoring a mile and make a donation today. I have just over 3 weeks to go. Help me finish strong! Click here to make a donation. I didn’t notice that when I went through. Maybe you had some strict cast members at the time you went through the backstage areas and later on they weren’t there. However, it could also be that I was just too focused on hitting all my run intervals to notice. I was more concerned with getting through the crowds. Congrats on getting into corral B! You’re working so hard, I’m sure that corral A will be in your near future. 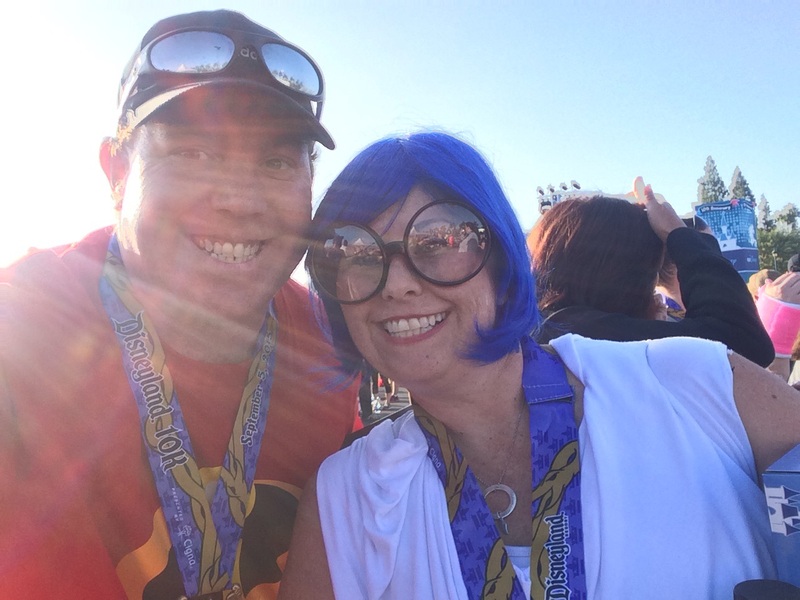 Your MarathonFoto pics came out great! A second best 10K is still a great accomplishment. Congrats! Thanks! 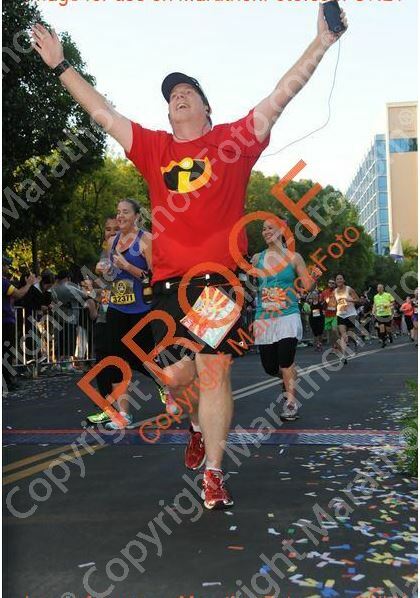 I know that some of those MarathonFoto pics came out pretty great. I’m not too bummed about setting a 2nd best 10K time. I think that, the next time I make such an attempt, I won’t stress about where I’m at for any particular mile. Just focus on hitting all my run intervals as planned and let the time be what it is. I think that if I did that, I might have set a new PR. Live and learn. You know what I mean?